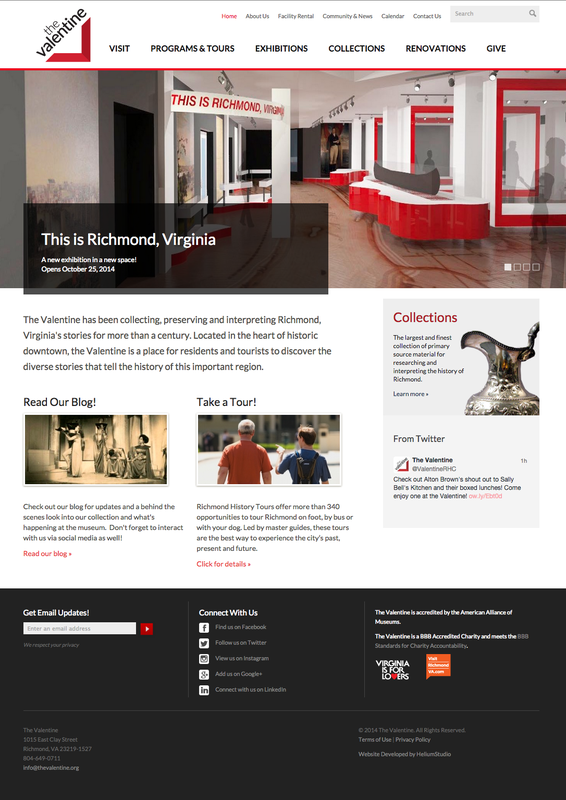 The Valentine is a museum dedicated to collecting, preserving and interpreting Richmond’s history while engaging with a broader audience through its exhibitions, tours, special events, research opportunities, school and public programs. The organization approached HeliumStudio to develop a captivating online presence that presents the center as an active and contemporary resource to the public. 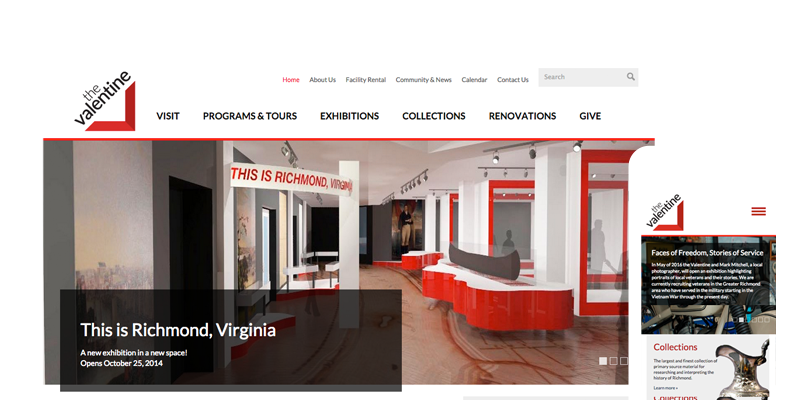 We designed a modern interface that tells the story of Richmond through original photography from the organization’s archives. We also implemented a Drupal content management system, allowing administrators to maintain all visual elements including photography, navigation, content and store items.